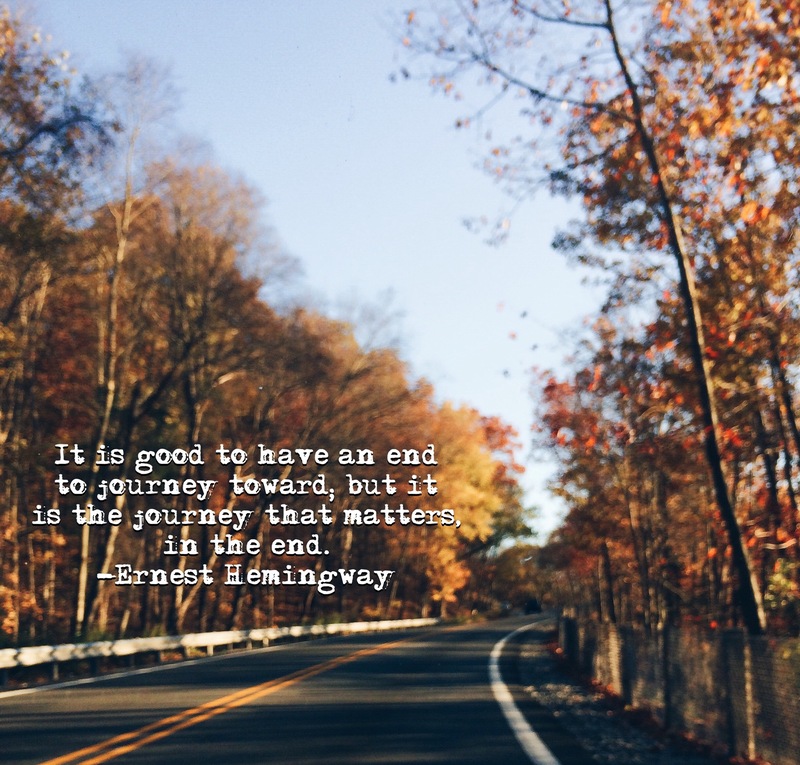 A moment from my recent drive in the Hudson Valley, overlaid with a bit of wisdom from Papa Hemingway. Fall is quite excellent at making one feel pensive and restless — I suppose it is mainly due to the spectacular demise of the foliage. You are currently reading Words || The Journey at Quite Continental.